Mark Daniel Ronson - British DJ, guitarist, music producer, performer, winner of Grammy Awards, Oscar (as co-author of the "Shallow" song from the "A star is born" movie) and one of the Allido Records founders. He performs with his Mark Ronson & The Business Intl band. 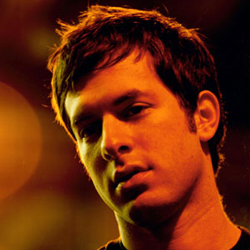 His debut album "Here Comes the Fuzz" did not become a sensation in British music, but the next release - "Version" hit the Top 40 and helped Mark become the BRIT Award winner in the "Best Performer 2008" nomination. The third studio album of the musician - "Record Collection" strengthened his status. Best known as sound producer - he worked on the creation of careers for British singers Amy Winehouse, Lily Allen Estelle and Adele. The Re: Generation project, where he works with such musicians as Mos Def, Eric Badu, by The Dap-Kings and Zigabu Modelist from The Meters. In April 2012, Ronson presented the project at the Coachella festival, after which he returned to Europe and started producing music for the London Olympic Games and the Royal Ballet. In the fall of 2011, recorded with the singer Kathy Bee a joint track to the Olympic Games - Anywhere in the World as part of the Move to the beat campaign organized by The Coca-Cola Company. In 2014, a video was uploaded to the Uptown Funk song, which became a collaboration with Bruno Mars and currently has collected over three billion views on YouTube. In 2015, Mark is working on Lady Gaga's fifth studio album. Also in his victories list are Duran Duran, Black Lips and Rufus Wainwright new discs. In 2018, he recorded a joint song with Miley Cyrus, which was called Nothing breaks like a heart.